OAK BROOK, Ill. – Mammography remains an effective method for breast cancer screening in women ages 65 and older, with the addition of a 3-D technique called tomosynthesis improving screening performances even more, according to a study published in the journal Radiology. Breast cancer is the most common cancer and the second most common cause of death from cancer among women in the United States. Research has shown that digital 2-D mammography (DM) is effective at reducing breast cancer-related mortality through early detection, when the cancer is most treatable. In 2011, the U.S. Food and Drug Administration approved tomosynthesis, also known as 3-D mammography, for breast cancer screening. Since then, it has become widely used as an adjunct to DM. Even with these technological improvements, the benefits of breast cancer screening in older women have been subject to debate. The United States Preventive Services Task Force recommends screening mammography only until the age of 74, while other professional groups do not recommend stopping screening based on age. In the new study, researchers at Massachusetts General Hospital (MGH) sought to learn more about the performance of screening mammography in the older population and the added value of tomosynthesis. They compared screening mammograms from more than 15,000 women (mean age 72.7 years) who underwent DM with those of more than 20,000 women (mean age 72.1 years) who underwent tomosynthesis. Both approaches were highly effective at detecting cancer, but tomosynthesis had some advantages over the 2-D approach, including a reduction in false-positive examinations. Tomosynthesis also had a higher positive predictive value, the probability that women with a positive screening result will have breast cancer, and higher specificity, or the ability to distinguish cancer from benign findings, than DM. The study results do not support a specific age cutoff age for mammography screening, according to Dr. Bahl. She said that guidelines for screening in older women should be based on individual preferences, life expectancy and health status rather than age alone. Dr. Bahl expects the combination of DM and tomosynthesis to eventually become the standard for screening at all practices. Since tomosynthesis is still a relatively new technology, more research is needed to determine its impact on long-term patient outcomes, Dr. Bahl said. 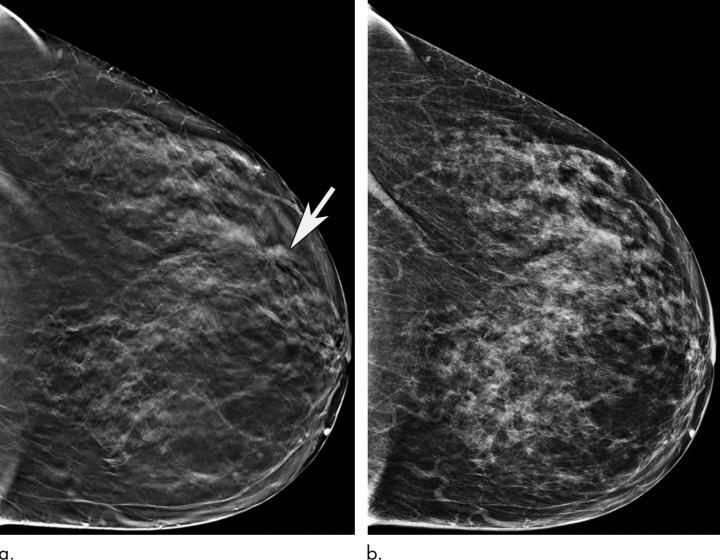 “Digital 2D versus Tomosynthesis Screening Mammography among Women Aged 65 and Older in the United States.” Collaborating with Dr. Bahl were Niveditha Pinnamaneni, M.D., Sarah Mercaldo, Ph.D., Anne Marie McCarthy, Ph.D., and Constance D. Lehman, M.D., Ph.D.